As one of the biggest authors in the world, Stephen King has the freedom to do essentially anything he wants with his books, which is why they tend to be enormous tomes that could double as body armor if somebody tried to shoot or stab you while reading. His Dark Tower series in particular includes seven canonical books, a short story, and then a comparatively concise side novel, all of which add up to be somewhere around 5,000 pages. Apparently, though, one of the many things the Dark Tower movie will jettison from the original books is King’s verbosity, as the British Board Of Film Classification (via Collider) says that director Nikolaj Arcel’s The Dark Tower will clock in at a brief 95 minutes. This is just the first movie in a hypothetical series, so it definitely doesn’t have to cover everything in the books—and the trailers have already established that it will be very different anyway—but that runtime seems to indicate that a lot of the gloomy traveling and weird explanations for how the eponymous tower works might be left behind in favor of more gunfights. That’s also not necessarily a bad thing, since a cool movie about a cowboy fighting a wizard might still be successful enough to garner a slightly more faithful sequel, but it’s still too early to say how that will work out. 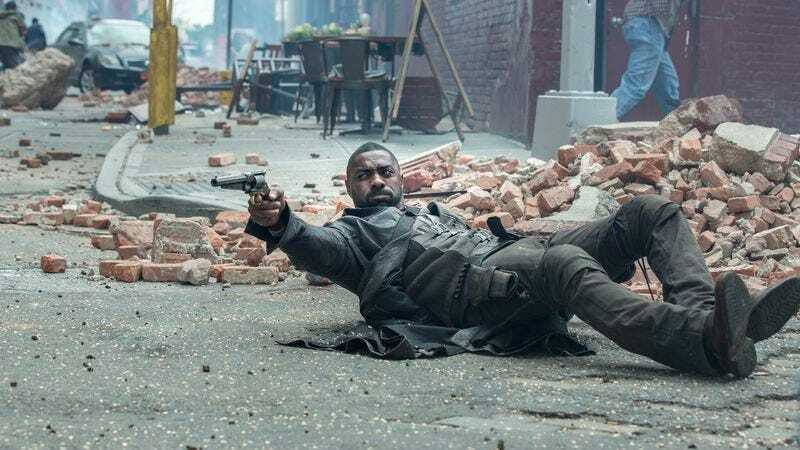 The Dark Tower will be in theaters on August 4.